Online shopping is convenient and you often get better discounts than what the local shops have to offer but if you can do a little more research, you may end up saving even more. Here are some online shopping tips and websites that may help you get the best deals while shopping online in India. There are dozens of credible shopping sites in India and it may therefore take time and effort to determine which of them offers the best deal on a particular product. Comparison shopping sites like Junglee.com, MySmartPrice.com,PhoneCurry.com and Scandid.in aggregate prices from multiple online retailers (through XML feeds and web scraping) making it easier for you to compare prices. Some shopping sites accept coupon codes that you can apply during checkout for some additional discounts on your final bill. Google is of little help here since coupon codes expire very soon but there are quite a few coupon aggregating sites – CouponDunia.in and CouponRaja.com for example – where you may often find active coupon codes for most online stores. The coupons are neatly organized by stores and the listings are sorted by their expiry dates. Popular US coupons website RetailMeNot.com too has an India-specific section that aggregates coupons from Domino’s Pizza, eBay, Myntra and other popular online shopping sites. You should also consider subscribing to the email newsletters of your favorite shopping sites and discount codes may sometimes land up in your mailbox. Coupon codes aren’t the only way to save money on your online purchases. 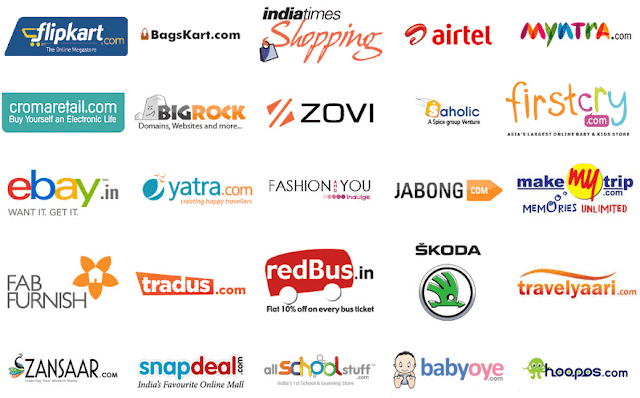 Sites like CashKaro.com and Pennyful.in offer cashbacks on your regular purchases as long you visit the shopping site through the special links listed on these cashback websites. You can use the price tracker to know when the online prices of any item drop. Just put all the items you wish to buy in a Google Spreadsheet and the tracker will monitor their prices for you. You can also use the Amazon’s Junglee to set price alerts. 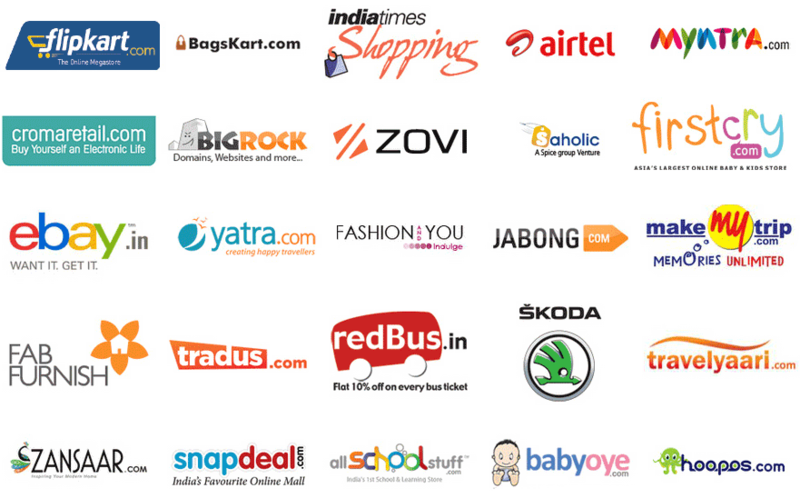 Most online shopping brands in India are active on Twitter and some of them do regularly post offers and deals on these channels. It may thus be a good idea to like /follow you favorite retails on the Facebook and Twitter so you’ll stay in the loop. You can also follow @DealsForGeeks on Twitter to know about upcoming deals on mobile and tech products. Popular A-Z shopping sites like flipkart.com, Amazon.in, Snapdeal.com, eBay.inand Infibeam.com have dedicated pages where they list ongoing offers – you may want to monitor these pages or at least put them in your browser bookmarks. Not every local mom-and-pop store may have a website but some of these local stores may have better deals to offer than even the big online retailers.PriceBaba.com aggregates prices offered by the various offline retailers in a city and the site also lists their phone numbers and addresses should you decide to make the purchase from a local shop. You can also find contact details of offline retailers through their listings in the eBay and Junglee marketplaces. Give them a call, ask for a quote and you may end up getting a better deal. News reports in the WSJ and USA Today suggest that certain shopping sites, especially those in the travel category, may alter prices based on your geo-location and by looking at your previous browsing history through cookies. I am not sure if Indian shopping sites use “dynamic pricing” but the incognito (or private) mode in your browser will prevent the site from connecting the dots and they’ll treat you as a new customer. There’s no Black Friday or Cyber Monday in India but shopping sites here generally offer better discounts around holidays and festivals. Thus wait, if you can.